W20, official engagement group of the G20 advocating gender equality. 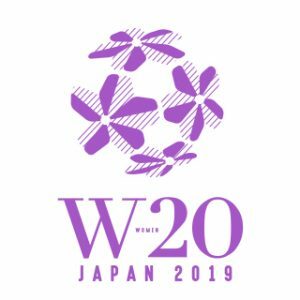 The 2019 edition of the W20 Summit will bring together around 100 delegates from all over the world in Tokyo from March 22-24. 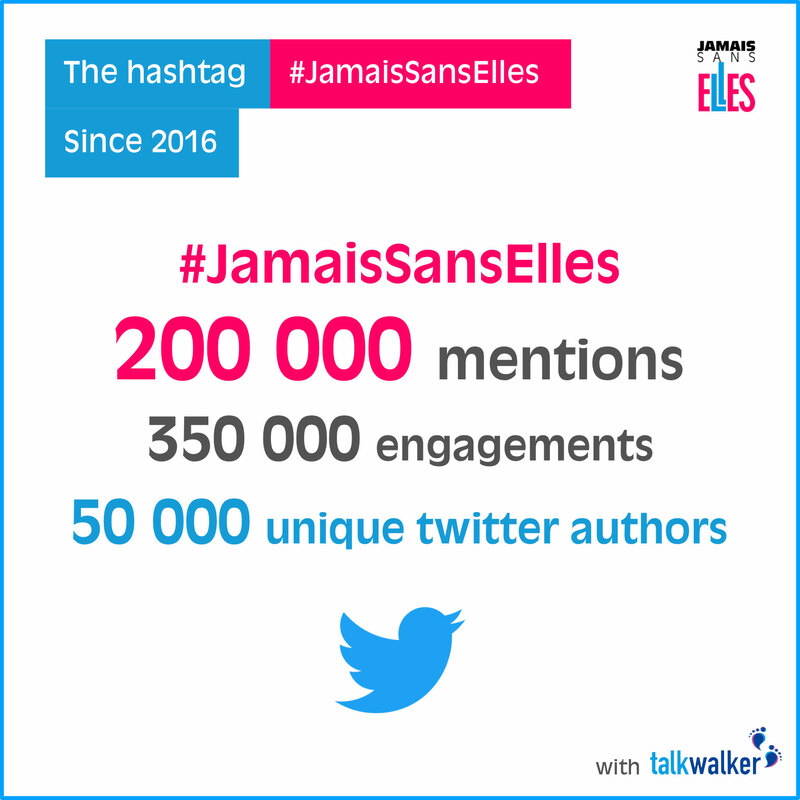 #JamaisSansElles is Head of Delegation for France. We, the representatives of the Women20 (W20) network, fully endorse the statement in the Buenos Aires G20 Leaders’ Declaration that “gender equality is crucial for economic growth and fair and sustainable development.” We reiterate the need for women and men to work in partnership to close the gender gap in order to achieve the Sustainable Development Goals (SDGs). During Japan’s presidency of the G20, the W20 pays particular attention to the inclusive and responsible use of all new technologies, including Artificial Intelligence (AI), due to their critical impact on all segments of society, ensuring no woman is left behind. 1. Request their labour and employment ministers to present a mid-term report on the 2014 Brisbane commitment to reduce the gender gap in labour force participation by 25 percent by 2025 during the 2020 G20. 2. Remove systemic legal and social barriers in the labour market and provide solutions for achieving gender equality. • Enact and implement legal measures to achieve gender equality in all aspects of employment practices. In particular, take further action to close gender income gaps such as wages, pensions and other earnings in line with the SDGs. • Invest public funds in quality, accessible and affordable care infrastructure for children and elderly, and put in place mandatory paid parental leave to promote shared responsibility. • Incentivize employers in the public and private sectors to implement evidence-based policies and publicize progress on gender equality, leading to more women in decent and quality work and in leadership positions. 3. Close the digital gender gap and ensure that women can exercise their digital rights. • Take urgent measures to promote equal participation of women in the design and development of digital technologies with due consideration to ethics, and prevent amplification of gender discriminations by biased data-sets, models, and algorithms in Artificial Intelligence (AI). • Boost equal participation of girls and women of all ages in Science, Technology, Engineering, Arts, and Mathematics (STEAM). • Provide women in urban and rural areas with affordable, reliable, and safe internet and mobile services. 4. Ensure financial inclusion, promote women’s entrepreneurship, and accelerate access to investment and markets. • Ensure women’s equal rights to economic resources and access to ownership and control over land and other forms of property, financial services, and natural resources. • Develop a policy framework and action plan to strengthen the business, financial and digital capacity of women’s enterprises, including e-commerce. • Incentivize investors to proactively incorporate gender factors into investment analysis and decisionmaking. 5. Promote life-long learning, and education on gender equality in schools and workplaces, to eliminate gender stereotypes and unconscious bias. 6. End all forms of violence against women and girls in the public and private spheres, including social media. • Establish effective legal frameworks, ensure access to justice, and strengthen law enforcement to end all forms of violence against women and girls in all spheres. • Support the adoption of the ILO’s proposed convention and a recommendation concerning the elimination of violence and harassment in the world of work, as well as ratify international conventions related to violence against women. 7. Establish effective and transparent governance and accountability mechanisms for achieving gender equality. • Develop mechanisms to monitor the implementation of G20 commitments on gender equality, together with international organizations, relevant national partners and in collaboration with the W20, and report progress on a regular basis. • Jointly review progress, within G20, for achieving gender parity in leadership and all levels of decisionmaking in the public and private sectors by 2030. • Strengthen the mandate and capacity of national gender machinery to ensure that gender impact assessments are conducted on legislation, standards, and policies. (1) By a minimum of 10% increase is an improvement for each country according to its own baseline.